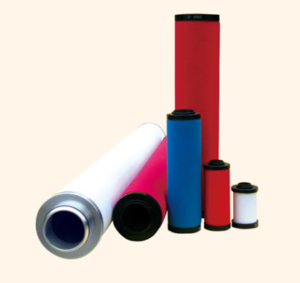 Hiross compressed air filters, also called Hiross line filters, are used to remove contaminates from compressed air which will generally have a high water content, as well as a high concentration of oil and other contaminants. Our Hiross compressed air filter replacement offers effective solution for filtering particulate and moisture in your airline. Check out the following Hiross compressed air filter to find the original part number and contact us for more information. Our Hiross compressed air filters replacement is Made entirely in the original filter size specifications, and can be directly exchanged with the original parts. The inside and outside of the filter can be as good as the original. Adopting European leading technology, it has the advantages of small volume, large flow, high filtration efficiency, large dust holding capacity, small pressure difference loss, good corrosion resistance, long service life and convenient filter replacement.